Paul Yee, September 2011. 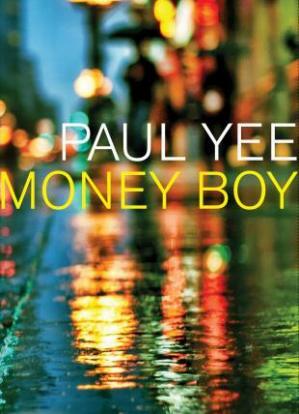 Ray is a privileged Chinese-Canadian teen who struggles to hide his homosexuality from his family and friends. When his traditional, authoritarian dad checks his browser history and then throws him out of the house, Ray spends five days on the street, learning what it’s like to be unsure where his next meal is coming from and where he’ll sleep that night. He hears about a street corner where boys his age sell their bodies for easy money, and grows desperate enough – both for money and to lose his virginity – to give it a try himself. The book ends too neatly; Ray’s father comes to find him on the streets and tells him his dying grandfather is flying in from China that evening, and won’t Ray come to see him? Ray acquiesces, and ends up coming out to his family, and the grandfather is shockingly blasé and accepting. It’s also incredibly lucky that Ray’s first couple of johns are supportive and nurturing. Still, the unique voice (very rarely are YA novels narrated by ESL speakers) and the adventure story will make this appealing for many teens. This entry was posted in 2011, asian, canadian, gay male, gay-bashing, Paul Yee, problem novel, prostitution, queer adult, queer protagonist, realistic. Bookmark the permalink.